Modern and luxuriously furnished apartment, completely renovated in 2011/2012. Fully equipped apartment in an independent house. House in traditional style, completely renovated 2011/2012 and 2018. 2018 3-star classification by the Tourist Office Landes / France (Cornité Departemental du Tourisme des Landes). Living space 38 sqm with 1 bedroom, living room with open kitchen and sofa bed, bathroom with shower / WC. Digital TV and DVD. The house is located in an ideal location. The beach (about 400 meters) and all the major local attractions are within walking distance. In less than 10 minutes you are walking in the city center with all major shopping incl. Daily market, supermarket and many restaurants and bistros. Here, the house is very quiet in a purely residential area. Had a very nice stay at this smart and modern little villa, attached to the main villa. Its a lovely quiet location just a small walk from the beach. The owner was very polite and helpful making our stay so easy and relaxing. 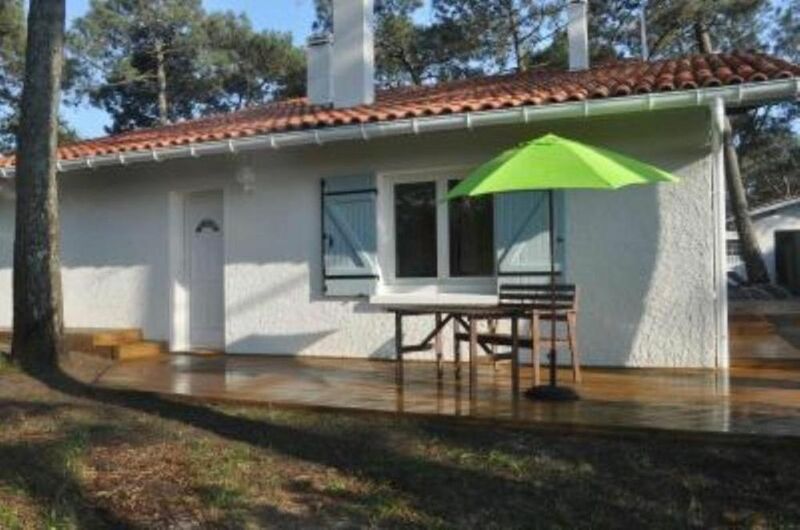 The house is situated in a quiet residential area of ​​the French preferred with pine trees. The town center 800 meters, you will find restaurants and shops, a pharmacy, doctors, post office, Arena and many more. 400 m are to the Atlantic beaches, 1 km to the lagoon. In the neighborhood there are only villas and private houses. You can find regular promotions in the village center, several surfing schools, sports court with basketball courts, as well as tennis, mini golf and since 2011 new Halfepipeanlage in place. Separate kilometer bike paths along the coast, also for inline skaters.